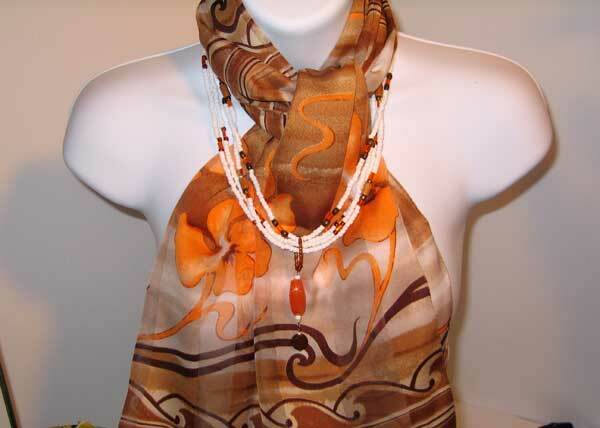 The scarf measures 13 x 60 with great colors of white, varied browns and accented with beautiful orange flowers. This necklace measures just over 20 inches clasp to clasp with a removable 2.5 inch pendant. It is made up of 4 strands of white seed beads accented with brown glass & wooden beads surrounded with orange glass tube beads.